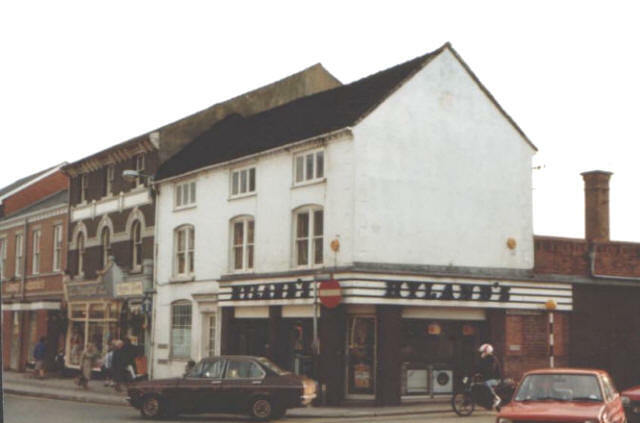 Our first shop was on Merrial Street, Newcastle Under Lyme, (sadly we don't know where or the exact date), but with the coming of the War the Merrial Street store was relocated to 786/788 Uttoxeter Road, Meir. 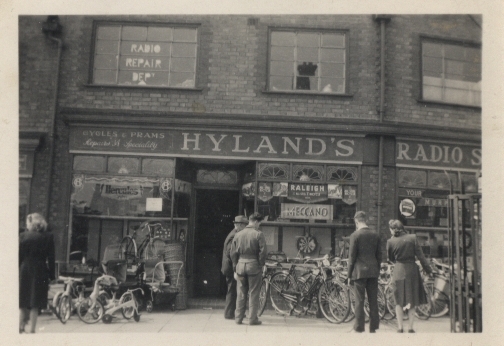 This photo was taken in the 1950's, the Service Department was above the shop in those days. 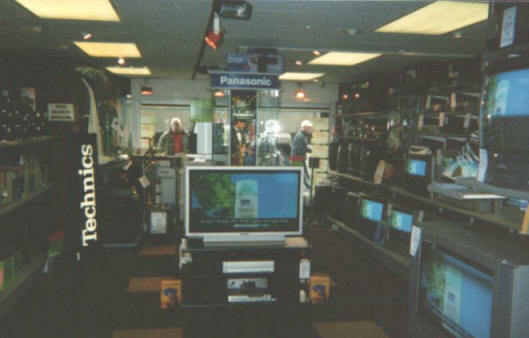 Alongside electrical appliances we also sold prams - toys - air rifles - records - cycles and even motorcycles. 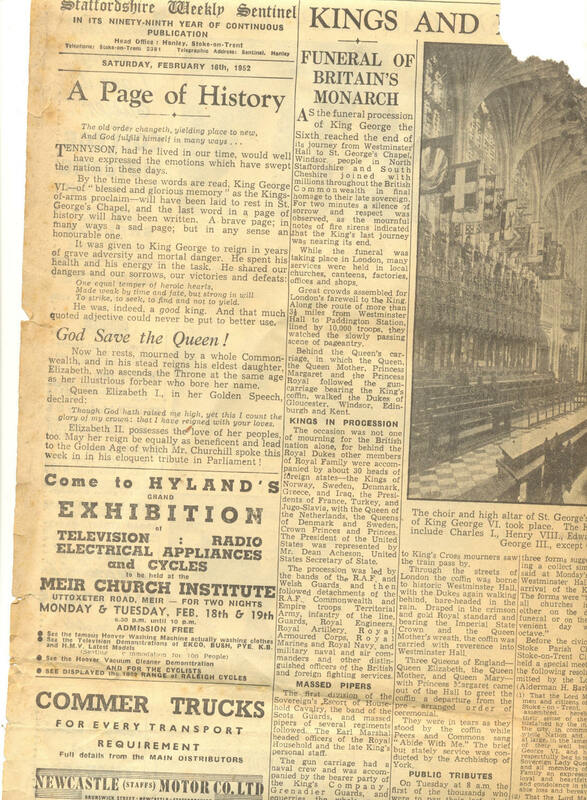 Above is an advert for an event we held in February of 1952. 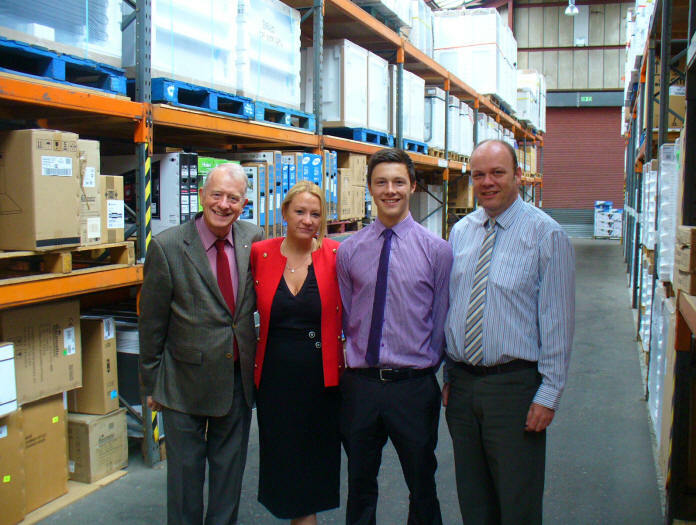 Peter Hyland (who took over the business from his father in 1969) remembers running around the hall as a young boy. 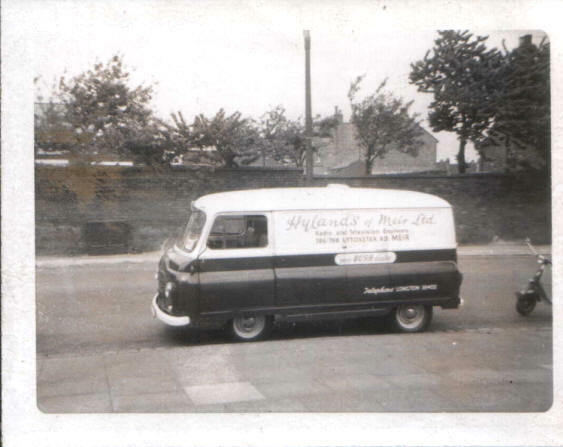 1950's Bedford delivery van. It had a canvas roof to reduce cost and as a passenger seat was an optional extra at the time, Peter Hyland remembers sitting on a wooden crate next to the driver. 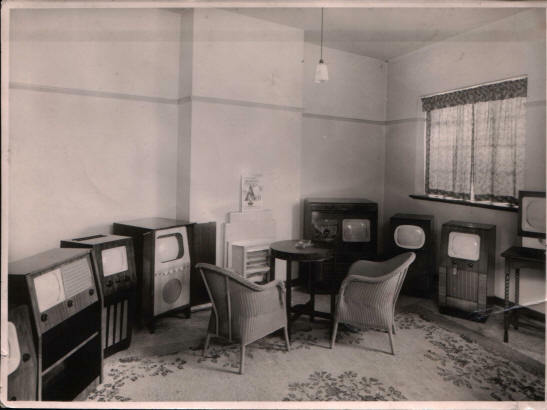 1950's TVs - To show off the latest black and white television sets we had a dedicated TV showroom above the shop. 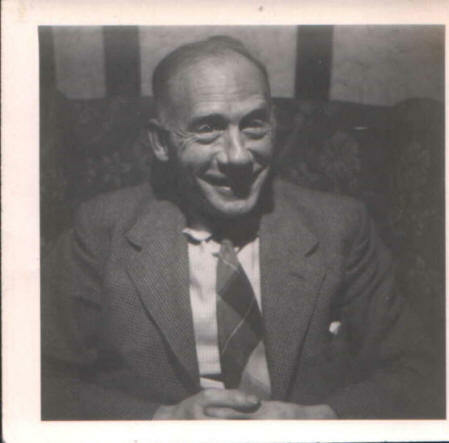 We became a Limited company on 16th Oct 1956. 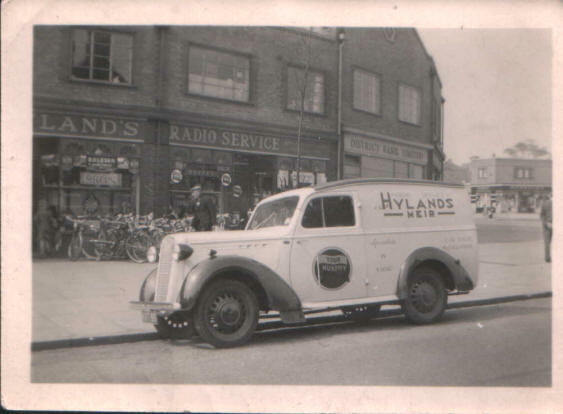 1966 Morris J2 Delivery Van - Note our name had changed from 'Hylands Radio Service' to 'Hylands of Meir Ltd' by this time. 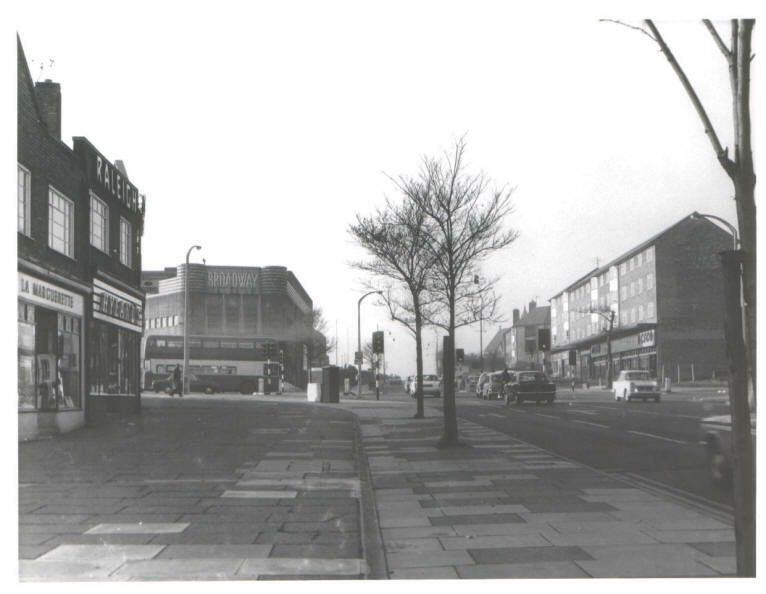 In 1977 we relocated to 71/73 Weston Road, Meir to avoid the planned A50 expansion as the old store was expected to be demolished for this highway. 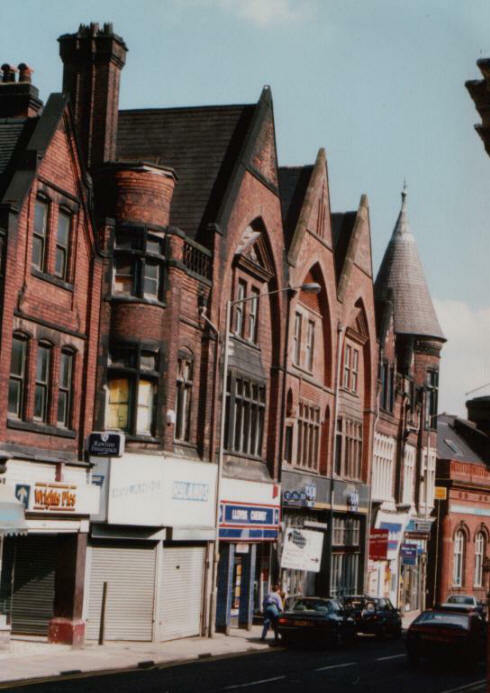 The A50 expansion eventually happened some 20 years later in 1997 but instead of knocking the row of shops down it went under Meir via a tunnel. 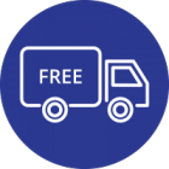 We remained trading in Meir until 9th June 2018. 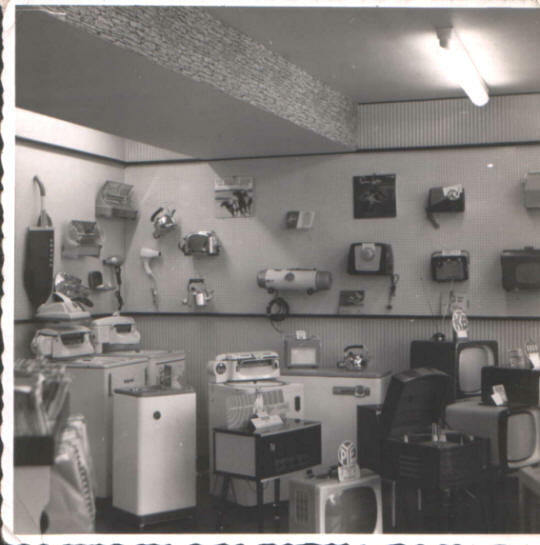 1980 our Stone Store opened - previously a butcher's shop it housed our first warehouse in the old slaughter house behind (now part of the showroom). 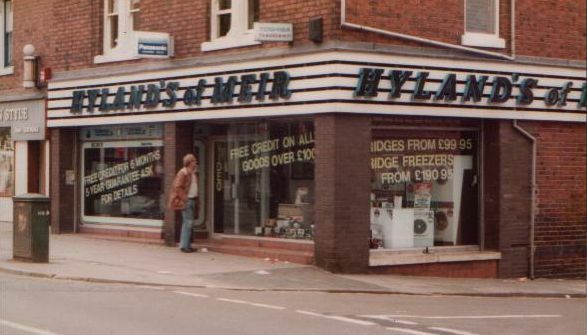 1986 saw the opening of our Longton branch (not a good photo, the shop is on the left with shutters down, not sure what it was taken for but it's the only one we have from this time!) 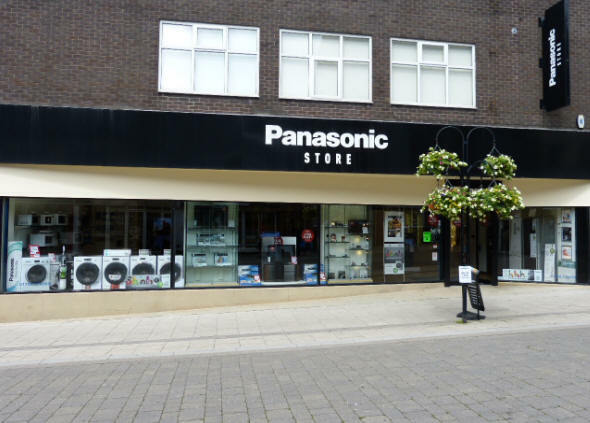 Previously Harold Bowens Photographers shop. 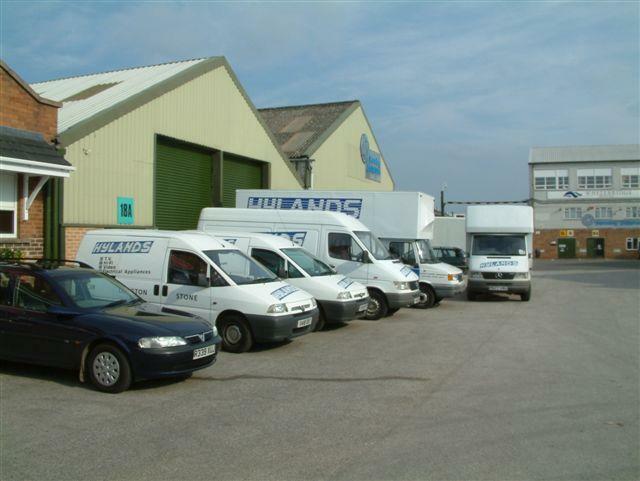 1986 also saw our warehousing move to the Whitebridge Industrial Estate & our Stone store was extended into the old warehouse behind. 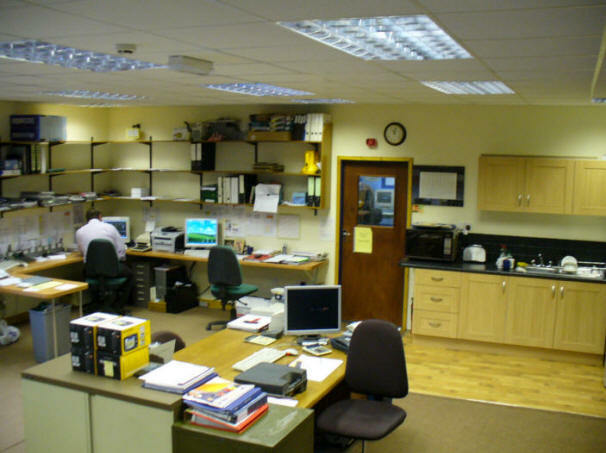 1990 our Service Dept moved from over our Meir branch to a unit on the Whitebridge Industrial Estate & our Head office then expanded into the old workshop above the shop. 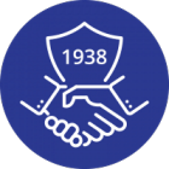 26th June 1992 - We joined and became shareholders of the Combined Independant Holdings buying group - better know as Euronics. 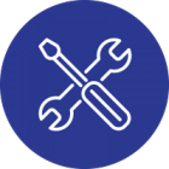 1994 The commercial arm of our business was formed for business and trade customers. 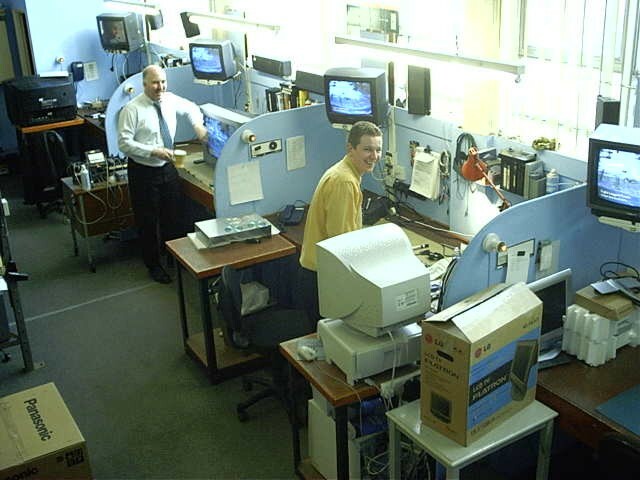 (Photo of the commercial team taken in 2003 while based above our Meir branch, taken for our first website). 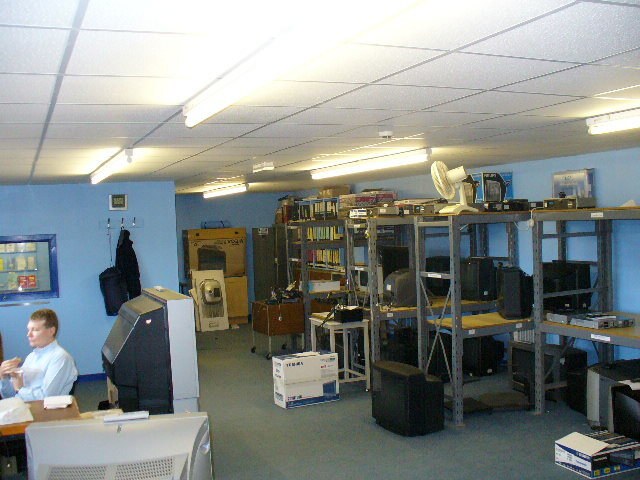 Easter 2003, our first basic website started to be built, none transactional it grew and served us well showing over 1300 products until it was retired some 13 years later. 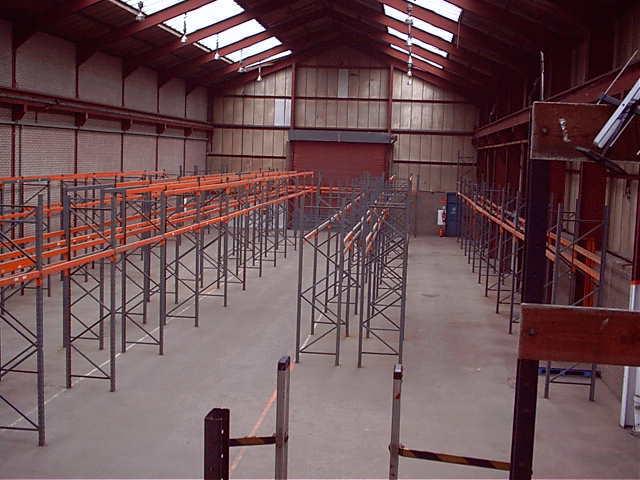 2004 we relocated from the Whitebridge industrial estate into our own vast warehouse. To get an idea of size - note the blue personnel door. 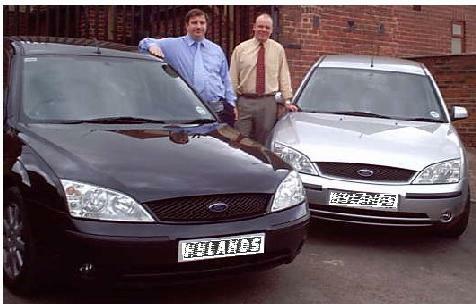 2005 we opened our new purpose built Service Department in Fenton. 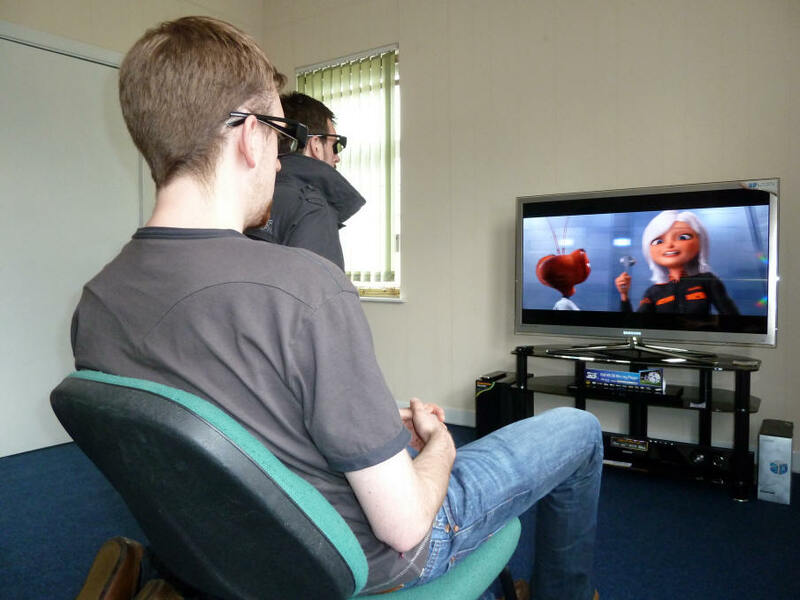 May 2010 - 3D TV was the big talking point and just like in the 1950s it was being demonstrated to a new generation of customers in a new first floor showroom above our Meir branch. The next generation of our family finished high school and joined the family Company becoming our "4th" Generation. His great grandfather would have been very proud. 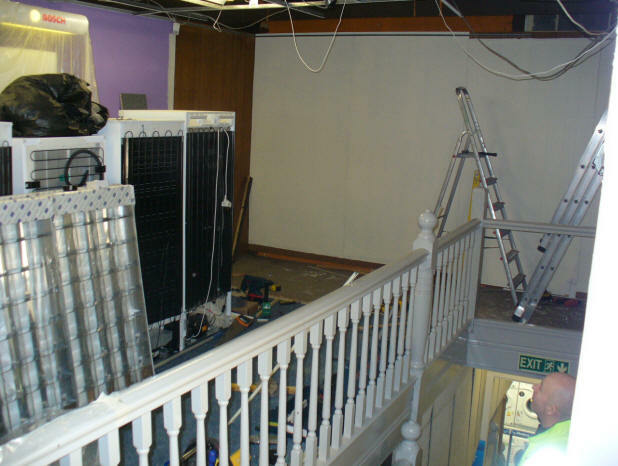 2013 ongoing improvements at all sites. 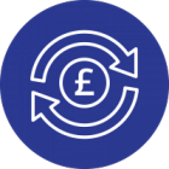 Aug 2016 our new responsive website launched - transactional and mobile friendly. 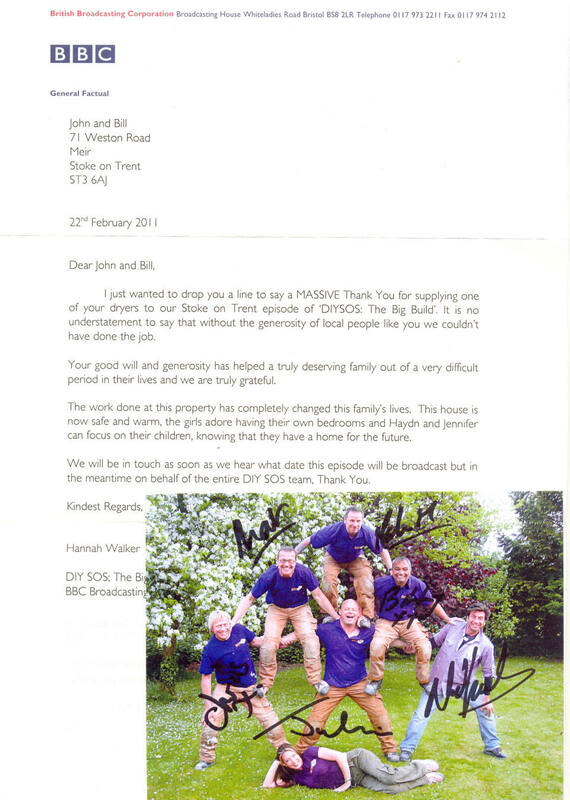 As you can see we are a well established and much respected local family firm with an excellent reputation. 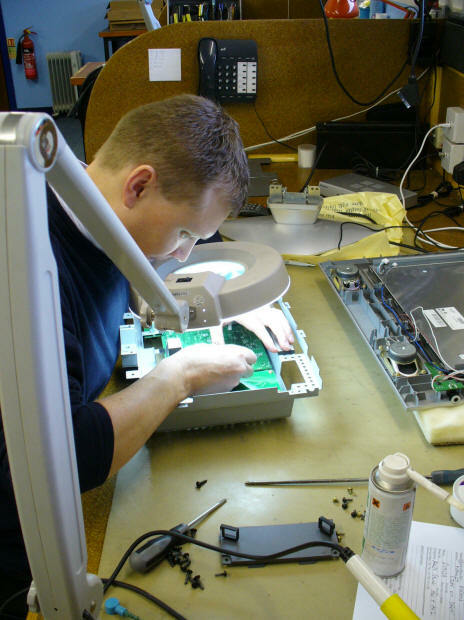 We are very proud of our history & our reputation for value with great customer service.